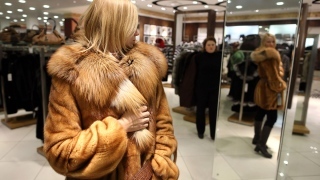 Officials have voted to ban the sale of fur clothing in Berkeley, the second city in California to approve such a ban. The Berkeley City Council late Tuesday voted to approve the ordinance sponsored by Council Member Kriss Worthington and spearheaded by the Berkeley Coalition for Animals. In 2013, West Hollywood became the first city in the state to ban fur apparel sales. Coalition founding member, Dr. Jay Quigley, says millions of foxes, rabbits, minks, and other animals bred for their fur typically spend their entire lives in cages. He says they are then slaughtered by gassing, neck-breaking, or electrocution. He says the fur industry is radically inconsistent with Berkeley's values.